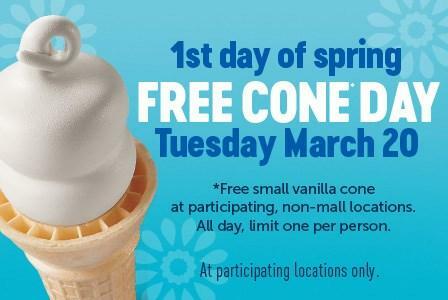 Dairy Queen is celebrating their annual Free Cone Day by giving a free small vanilla cone to every customer on Tuesday, March 20! This offer is valid at participating Dairy Queen locations all day. There is a limit of 1 per person. Not valid at mall locations. They will also be accepting optional donations for Duke Children’s Hospital and Health Center. Previous post Thank you for joining us on our 2018 St Patrick's Day Party Bus Trip.